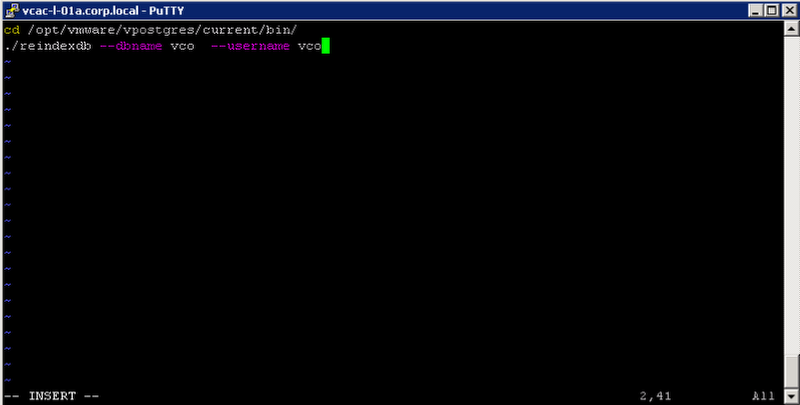 The vCAC 6 appliance has an embeded vCenter Orchestrator or vCO instance and database. Behind the scenes it is running a vPostgres database to store information about workflows, plug-in configuration and client sessions and logging. Over time the database tables can become fragmented and impact performance and of vCO. Always snapshot or backup your appliance before attempting this procedure. NOTE: This procedure is not currently supported by VMware. Use at your own risk. 1. 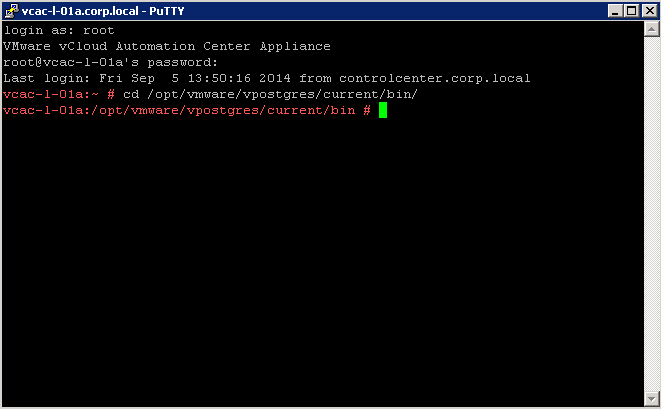 Login to vCenter and take a snapshot of your vCAC Appliance VM. You should see a bunch of Notices like the following screen inticateing which tables were reindexed. 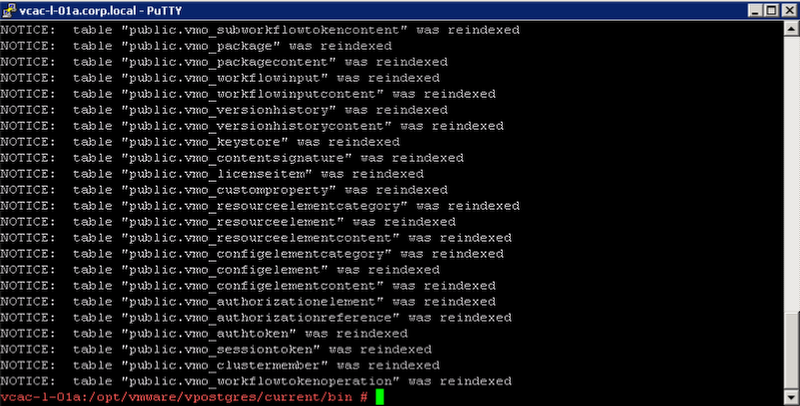 This entry was posted in vCAC 6, vCO and tagged custom properties, databse, db, maintenance, reindex, vCO by Ryan Kelly. Bookmark the permalink.